Translated from Portugese: Eight fighters from the streets. Eight different styles. Eight challengers with only one objective. 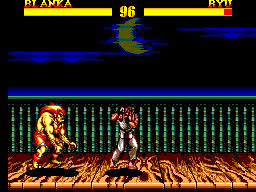 They seek to survive the most dangerous match created by humankind: the Street Fighter! 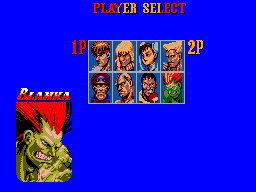 Ryu, M. Bison, Ken, Guile, Chun-Li, Blanka, Sagat and Balrog face each other in combat, where the biggest pleasure is not merely defeating your opponent, but causing them as much pain as possible! Have a friend join you to prove that this just isn't any other fighting game. 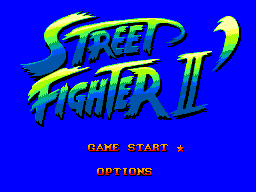 Show them you have mastered the street fight and have no fear of terrifying faces or mountains of muscle.